Moving? We can help. 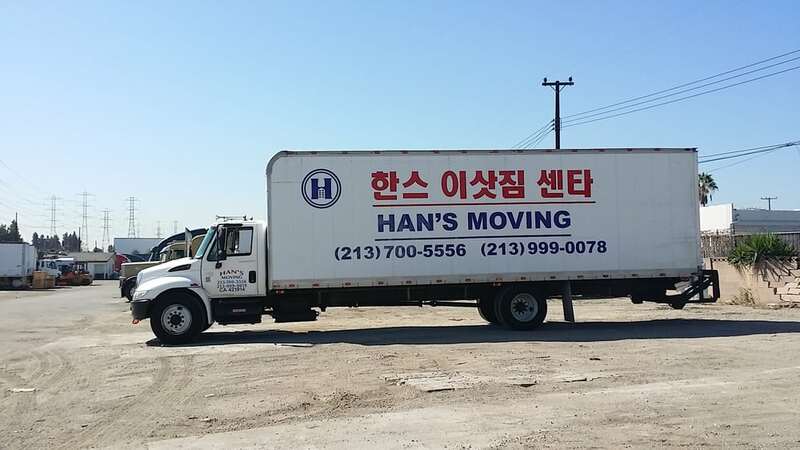 Han`s Moving has been moving families and businesses for years. Our expert staff can help you plan your move across the street or anywhere within our professional movers will make sure your things arrive at your new home safe and on time! I do a lot of moving and always use Han's Moving. Kelly an her guys are very professional and easy to communicate with. They are hard working and don't stop until the job is done. Thank you, Kelly and Han's Moving! Excellent movers, fast and hard-working, courteous. Moved us in as promised within just a few hours, stayed within our budget. Couldn't be more pleased, would hire them again! UPDATED REVIEW:We hired Han's Moving for my father-in-law's move, but they farmed out the job to a partner, Espinoza's Moving, without our knowledge or consent. See my review for them here: yelp.com/biz/espinozas-tâ€¦Long story short, my father-in-law was grossly overcharged by Espinoza's, who were incredibly rude and unprofessional in their communication.We contacted Kelly (the dispatcher) to ask why he was charged that amount (still unaware that it was Espinoza's that was actually doing the move). After she had a chance to speak with movers who did the job, her response was that the elevator was very congested and slow, so it took them longer than expected. That's a ridiculous excuse, as my father-in-law's old apartment is right next to a stairwell. At that time, she completely refused to rectify the situation in any way, didn't inform us of Espinoza's involvement, or offer a refund for the obvious overcharge.The next day (after I left the original review here), I got a nasty message from Espinoza's, which is how I finally figured out that they did the move. Kelly did call to offer a small partial refund for the terrible experience and she was very apologetic. She also stated that they will no longer be working with Espinoza's Once the promised refund has been received, I'll update my review accordingly. We called Han's Moving--and talked to their dispatcher, Kelly...We needed some valuable and antique furniture moved from our garage and home to a storage unit. Included were a very large china hutch and a antique grandfather clock. Han Moving's--their moving crew of Leo and Orlando--did a great job! The movers at Han are hard working & friendly guys who get work done efficiently. The movers also took a big load of a variety of personal belongings and furniture, and professionally packed all of this into our storage unit. Kelly at Han is easy to work with, and her moving crew showed up early. Great attitudes, and careful drivers,too. 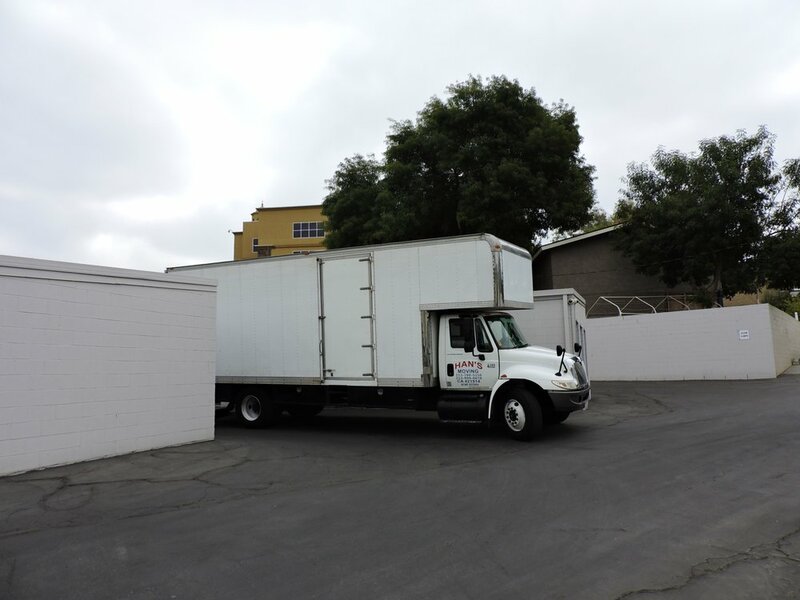 They also have great looking moving gear--the truck was new,had a hydraulic lift, and was huge.Here is our bottom line--Two great movers with scads of equipment--3 hours for two men--$180.00 Thanks, Han Moving! I had a great experience with Han's Moving. They are very professional. They are always on time, very fast, clean work and everythingWhenever I move I hire them and I also recommend to my friends they never complainedThey did great job I was very satisfied with their work!